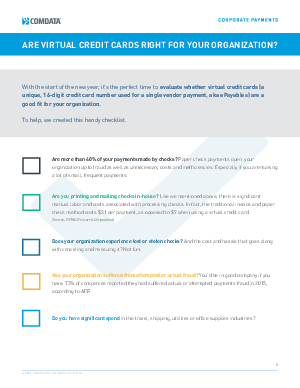 As we start the second half of the year, it’s the perfect time to evaluate your payments program (think ePayables - aka virtual credit cards) to prepare for 2018. Are more than 40% of your payments made by checks? Are you printing and mailing checks in-house? And does your organization experience lost or stolen checks?